Classen Turf Rakes are versatile and portable dethatchers. Dethatching is important to maintain a healthy lawn. Also available is the Classen Overseeder for use after Dethatching. 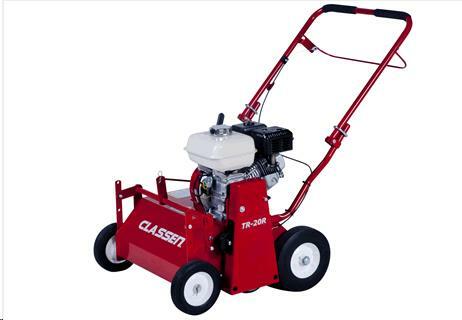 Features 28 heat-treated flail blades with spacing of 11/16" standard adjustable up to 1-3/8"
* Please call us for any questions on our turf rake classen tr 20 rentals in Fort Madison IA, serving Southeastern Iowa and Western Illinois.